Since the dawn of time, people have been fascinated by those who claim to have extraordinary psychic abilities. The fascination has reached a fever pitch with the rise of modern media. It is safe to say that many of these folks are either extraordinary frauds or extraordinarily deluded. But could some of them be legitimate? Do some people actually possess psychic gifts that can be used to help and heal? This book provides in-depth interviews with today�s top mediums, psychics, and healers, including Thomas John, Judith Orloff, Concetta Bertoldi, Caroline Myss, Echo Bodine, Rebecca Rosen, Paul Selig, and Michael Bodine. 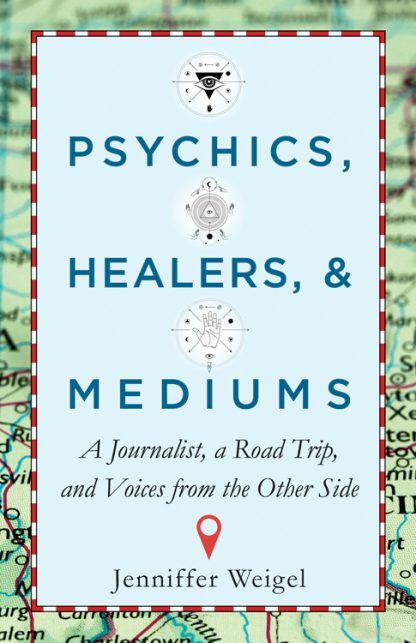 In addition to the interviews, each chapter contains readings for both Weigel and an individual previously unknown to the medium, psychic, or healer. In short, Weigel puts these psychically gifted people to the test�and the results are startling and profound. This is for fans of the book�s psychic participants and for people fascinated with communication with the dead, the idea of an afterlife, and the possibility of nontraditional healing.